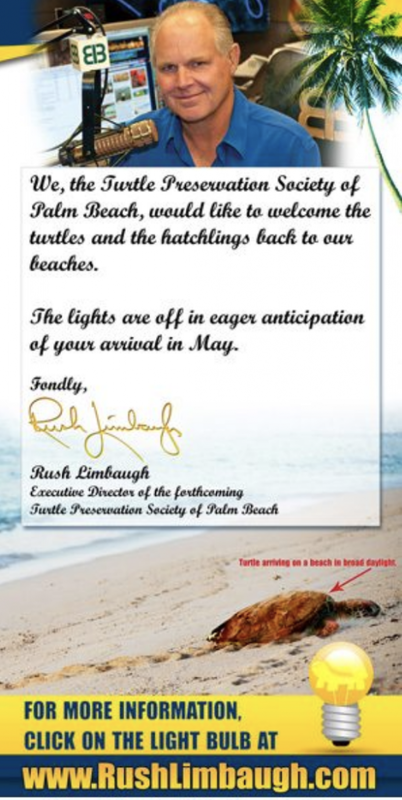 RUSH: Well, you know, it’s March the 1st, so people who live where I live just received the annual threatening reminder: If you don’t turn off the lights in the back because of the impending arrival of female turtles laying their eggs, we’re gonna come take your house away from you or some such thing. Four months out of the year, we get to use landscape lighting in the backyard. Eight months out of the year, we have to turn it off because of the environmentalist, global warming, animal rights wackos. Worried about gun rights? How about light rights? We’re losing our light rights here. It’s been narrowing. When I moved here, it was six months, then… (interruption) I have seen one turtle. I have seen one. 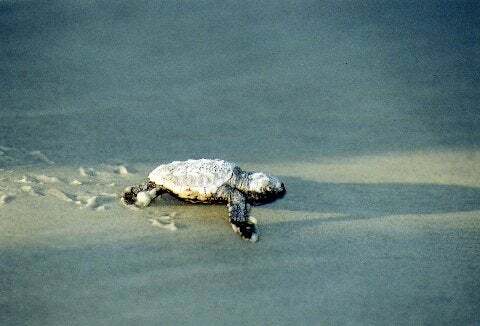 I’ve gone out on the beach, and I saw one giant sea turtle laying eggs, and you know when it was? It was over the Memorial Day weekend in 1998, and I… No! No. It might have been 1995, because Newt was there, and he had been speaker, so it was ’95. Newt was there with all of us trooping out there on the beach, and we just took a chance, and we go out there. There’s a turtle — a giant turtle — and it’s just finished laying the eggs, and it’s laboring to get back to the water, to the ocean. I mean, it looked as tired as I have ever seen anything seem tired. It was gigantic. I mean, we could pat its back without bending over. Thing must have been five or six feet in the in diameter. It was a giant sea turtle. Well, let’s say maybe four feet in diameter. It was big. But I haven’t seen one in freaking March, and I’ve not seen one in freaking April. I haven’t seen one ’til the end of May. (interruption) Yeah, but we went out there; we looked at it. Anyway… (interruption) Well, no, because you know what happens? 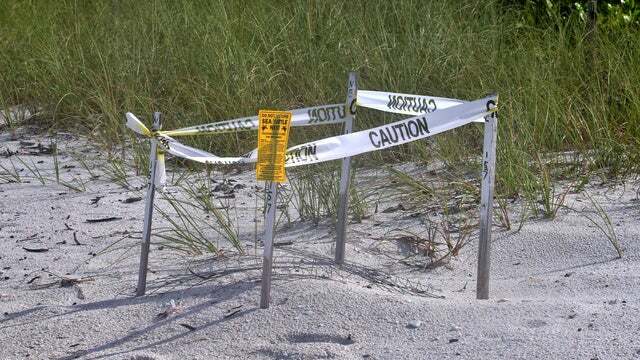 The environmentalist wackos go out there, and they stand by every night and they wait for the turtles, and they plant these giant red stakes all over the beach, supposedly signifying where eggs have been laid. And if you get anywhere near it, they call the cops on you. They do all kinds of crazy stuff. I’ve had the cops come to my house at 10 o’clock on a Saturday night in the pouring rain with environmentalist wackos standing right by the cop car. “Mr. Limbaugh, this nerdy person here says that you’re in violation of the back door…” I’m not in violation. Besides that, we’ve been within code here for three months. It was just a hassle job is all it was. Even the cop didn’t know the policy, but here was some agitator loaded for bear. So of course, I was automatically a suspect. Anyway, you know, I really don’t want to talk any more about this. These are the kinds of things I do not divulge. It just gives the wackos more ideas to repeat the process. You know what these clowns from the town do? They come out and measure. They go out on the beach, and they have these cheap little Instamatics — these cheap little point-and-shoot cameras — and they lay down and they aim at homes on the beach. Of course, at night those lenses are just wide open to get any light they can, and your house looks like a Christmas tree (when it isn’t) because of the lens. The aperture settings of these little, cheap cameras, open wide at night to let as much light in as possible. I looked at the guy. He said, “Look at this. Look at how much I can see your house from the beach.” I said, “It doesn’t look like that! Did you look at it from the beach?” “Look at what the camera shows!” “The camera is not showing you reality. Let’s go to the beach.” I have ways around this, and I’m not gonna tell you what they are. (laughing) Don’t make me say any more about this. (sigh) Anyway… (interruption) Have I…? … (interruption) No, I’ve never had a turtle… (interruption) You mean turtle soup, turtle egg? No. Never had ’em. I’ve nev… (interruption) No. I have never been served anything turtle-wise. I know in New Orleans it’s a huge delicacy, turtle soup. I’ve not had it. I don’t have anything against turtles. That’s not… In fact, I wanted to form the Turtle Protection Society. Kathryn and I actually did. We bought an ad in the local paper, the Turtle Protection Society, and we wanted to find a way to cover the moon every night, because the moon is bright light and the moon can attract ’em. If you’re gonna ban lights, ban the moon, for crying out loud! The moon can attract the poor little things.